Good news! I found an old journal full of dates I wrote about but never posted! The bad news is that I’m not totally sure when I wrote them, so they’re all completely randomly spaced throughout time. It’ll be like a sci-fi anachronistic dating adventure… or my dating life doesn’t progress all that much, so the order doesn’t really matter. Let’s go with time-travel adventure. I’m on my second hand’s worth of mediocre dates, which for me are the worst kind. I’d much rather suffer through a couple hours of cringe-inducing awkwardness than these forgettable ones, because I know there is at least some payoff in the end of the bad ones (this blog!). Yes, I realize that I’m complaining that my dates aren’t bad enough. I went out with an accountant who finished my food. I agreed to a second date with a psychology Ph. D. student (sorry Mom) but he can’t think of anything fun to do downtown. One guy told me all about how he keeps his beard long ‘because the ladies love it’ then got food stuck in it. Ok, I might have to write about that one. I even went out with a very nice LA (legislative assistant for you “outside the beltway” types). We had a lot in common and the date showed promise until I learned that he someday hopes to run for office. I’m too much fun to be a political wife. Can you imagine when the press finds this blog? Maybe this means that my filter is improving, or maybe I’ve just been through so many dates that nothing phases me, like how my nurse friend handles vomit like it’s just spilled ice cream. The fact that, as I sit here, I can think of blog-worthy stories from more and more of these dates is making me think it’s the latter. I should be working on grad school applications right now but I’m experiencing severe writers block. Consider this a writing exercise instead of the productive procrastination it really is. Danny messages me with the New Jersey standard introduction message: “Hey, what’s up?” I answer, mostly to keep my profile out of that “responds selectively” category. If he’s not putting any effort in, though, neither am I. A promising start. Our conversations consist of him telling me something that went wrong and me responding cheerfully. That he responds always surprises me; the conversation seems on the verge of sputtering out and yet he casually persists. I give him my number by mistake. I thought I was responding to another message, but oh well. Weeks go by before I receive an oddly specific question. No ‘hello, this is Danny.’ No ‘sorry it took me so long to get back to you.’ No ‘hi how are you?’ As usual, I go with it. We continue these random spurts of emotionally-unbalanced conversation through the summer. Danny texts me a question. I answer, ask about his day/week/month. He replies that things could be better because of x, y, and z. About every third time he asks if I want to get together. I say sure… then we don’t talk for a few more days, sometimes weeks, as though the step of actually planning the date is just too daunting to tackle right away. Like something will probably go wrong anyway, so why bother? I’m dying to know one thing about Danny: when will he have a good day? I’m sometimes annoyingly cheerful, more of the Tigger than Eeyore type, so Danny’s ability to find the negative in everything is morbidly fascinating for me. It’s like my own sad, dark reflection. 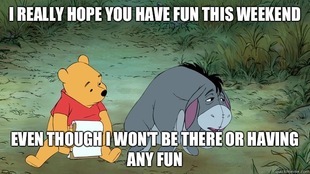 I want to meet my online Eeyore, but that would a) break my rule about not using guys as blog fodder, b) be a waste of time and probably pretty miserable and c) require more patience that I currently possess. And I will not be able to cheer him up (accept it, Heather, and move on!). So no, Danny and I will probably never meet. I’ve decided that I’ll have to tell him that I’m seeing someone else (yea yea calm down, I’ll get to that), whenever he decides to text me again. Poor guy. Cheer up kids! Even though your future mom is still stuck wading through the dating pool, Danny is definitely not your father! As 2012 rapidly comes to catastrophe a close, I feel the overwhelming need to share something witty, insightful, and possibly life changing. Of course, if I knew any such insights, I probably wouldn’t have a bad-dating blog, would I? But… isn’t providing dubious advice based on questionable expertise the purpose of the blogosphere? I’m caving in to imagined peer-pressure and offering up the following advice that should probably be actively disregarded. 1. Choose Kelly Clarkson over Britney Spears. At least in terms of Christmas carols. Kelly pleads “not for myself, but for a world in need.” Britney wants a boyfriend because other people do. I’m not going to lie and say I don’t belt out Britney’s song in the shower, the car, or any time I have the apartment to myself between Thanksgiving and Christmas. But it’s not good for my emotional or psychological health to beg Santa for a boyfriend, or anyone’s ears when I start singing. This year, I’m going to focus on wishing other people well and indulge in this classic only once… a week. Maybe. 2. Dating is not a hobby. Recently my roommate Claire trained for and completed a marathon. Another friend volunteers teaching Spanish classes, while another is a member of the Capitals Red Rockers in her spare time. So when one of them asks me what I did this week and I answer, “I went on three dates,” and don’t even have a good story to tell, even I start to judge me. Thanks Mom dear reader, but can I put “humorous blog recounting dating disasters” on my resume? I think not. Dating is not a hobby. It’s fabulous advice and anything I try to add to it sounds either whiny (who am I to give life advice? ), trite (who am I to give cheesy life advice? ), or conceited (in the face of mountains of evidence to the contrary, am I qualified to give life advice?). Listen to the 14 year old. 4. Being bad at things can be helpful. I’m terrible at sports. My lack of patience, self-awareness or physical coordination leads me to dread any and all team activities, even drinking games. My entire life, I’ve been battling – in a decidedly off-balance way- the everything-you-got-swing-and-miss. You know that moment: time screeches to a halt. Sound becomes simultaneously muted and thunderous. Everyone in the entire world is watching you but you are confident this will be your Babe Ruth moment. You step up to the plate. As the ball comes hurtling towards you, you throw your entire body into a hurricane-force spin. Then time stops. Nothing happens for a split second. You feel the elation of success… only to hear the ball slap into the catcher’s mitt. That’s when you realize you hit nothing but the ghost of your dreams as they whizzed past. The disappointment and humiliation battle for precedence in your mind as you slink back to the bench. Seriously, this happened to me EVERY time in whiffleball. While that might be slightly melodramatic, it’s essentially that’s the gist of my 2012. I confidently called 2012 as my year to get things right, and yet I’m going into 2013 the same way I entered 2012: single but happy, completely unsure of my future, (again) preparing for the GMAT, and hoping to be accepted to business school by the end of next year. The nice thing? I can’t swing or fall harder than last time and I’ve spent so much of my life managing the public embarrassment of pretty much every physical activity I’ve ever done, I’m actually quite well-prepared. So at midnight on January 1 (assuming it happens), I’ll be toasting the New Year with friends and family, ready to try it all again. How do you feel about 2012 and 2013? Are you excited for next year? Happy Birthday, How I Didn’t Meet Your Father! 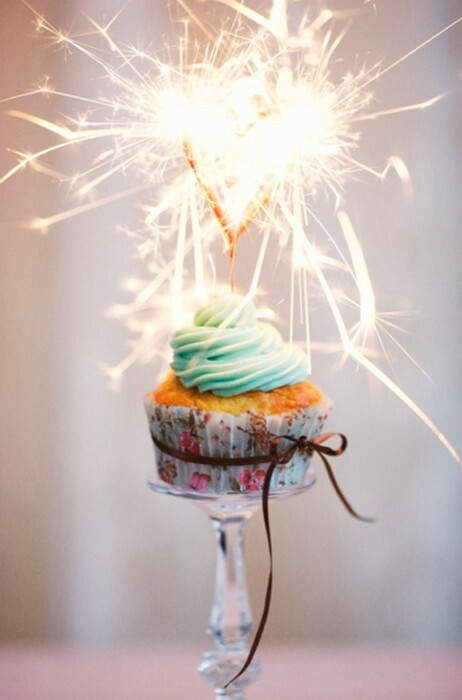 Someone pointed out to me that tomorrow is my one year blogiversary! What better encouragement to post? Here’s the next installment in the story of Ethan and then I’m going to get myself a birthday cupcake to celebrate one year of deliciously bad dating stories! I hear from Ethan the day after our date and proceed to float around with a stupid grin for at least a week. We chat each day and eventually make plans for the following week since he needs to play tour guide for a visiting friend that weekend. Our plans set, we chat remotely while he waits in the obligatory lines for museum security, overpriced cupcakes, and paper Metro passes. Within ten minutes, Ethan is on his way to my apartment, which I realize is a mess, as am I, and my roommate Jane is cooking dinner in pajamas. I stick my head around the door to the kitchen, tell her sheepishly that a boy is coming over, and then run to my room to clean and avoid her commentary as she frantically attempts to clean the kitchen and gather the remains of her dinner before running to her room. I’m going to need to apologize to her later. I change outfits three times, trying too hard for a cute/casual look, while simultaneously throwing anything not nailed down into my closet. I have time to put on mascara and a pair of earrings before my phone buzzes that he’s downstairs, so I take a deep breath, avoid looking at myself in the mirror and run for the elevator. The date itself is the most wonderfully awkward date I’ve ever been on, since it’s barely a real date, more of an impromptu meeting, but more intimate and casual than any restaurant could manage. 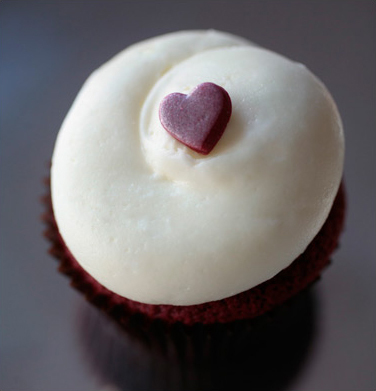 Ethan brings with him a dark, sweet dessert wine and that famous pink box with four perfect looking cupcakes, just like he promised; he even offers one to Jane, making her like him more than me at the moment. But once Jane leaves, we don’t really know what to do with ourselves. We stand facing each other, leaning against opposite counters, which in my Polly-Pocket kitchen are actually fairly close, and chat casually but haltingly. This is what I hate about second dates: they are 40% interview (unlike a first date, which is all interview) and 60% pop quiz. My mind is scattered, trying to remember what I asked him already, or if I’m thinking of him or another guy. Then I start wondering when I became the kind of woman who can’t keep all the men in her life straight. I’m simultaneously sizing him up: he is one of those tall, sturdy guys that I have such a weakness for, has the palest blue eyes I’ve ever seen, and has a diamond earring I can’t decide if I should judge him for. Oh, and I’m listening to what he’s saying. Totally listening. Eventually, we settle in to opposite ends of my couch, not touching, as we nibble our cupcakes and sip the wine. Slowly, I relax. After talking, laughing and trading YouTube videos for a while, I’m surprised to realize that we’re sitting shoulder to shoulder, thigh to thigh, and I’m leaning slightly into him; I steal a glance at Ethan, who catches me. Embarrassed, I immediately begin to move away, trying to hide my face as I blush. In a move that I swear only works in movies, Ethan boldly slips his hand against my cheek and brings my face back towards his so he can kiss me. I swear, Clark Gable would be impressed by Ethan’s calm, suave move; I sure as hell am. The rest of the date breezes easily by, now that the ice has been broken by the kiss, and before I know it, we’re kissing good night at my door. Something has been tickling the back of my mind all evening, and I finally realize what it was. “Didn’t you have friends over tonight?” I ask. Kids, I’m 25 years old. What do I know about the future? Not a lot. I do know, however, that everyone deserves at least one kiss like that in their lifetime.